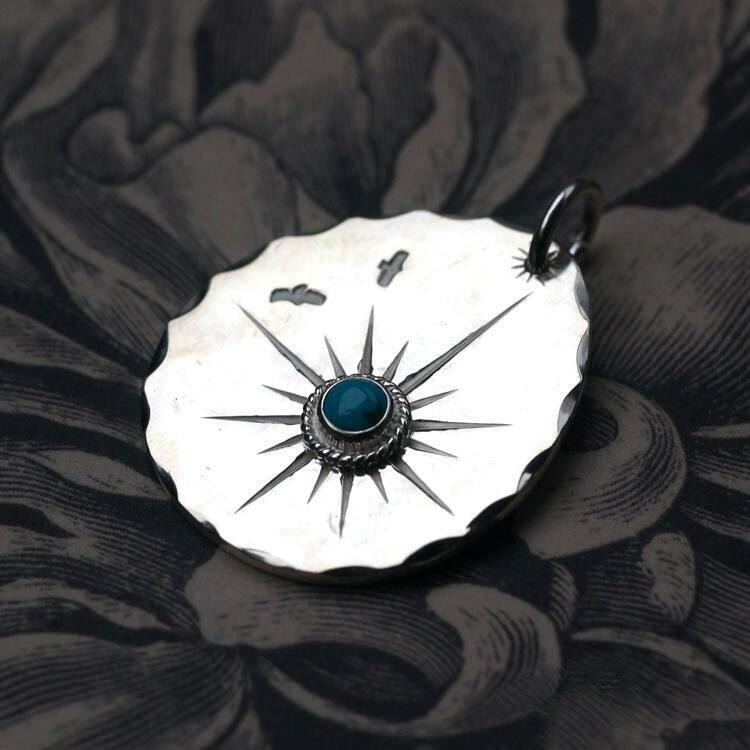 The silver disc pendant is crafted in the shape of a teardrop, with scalloped edges adding to its charm. 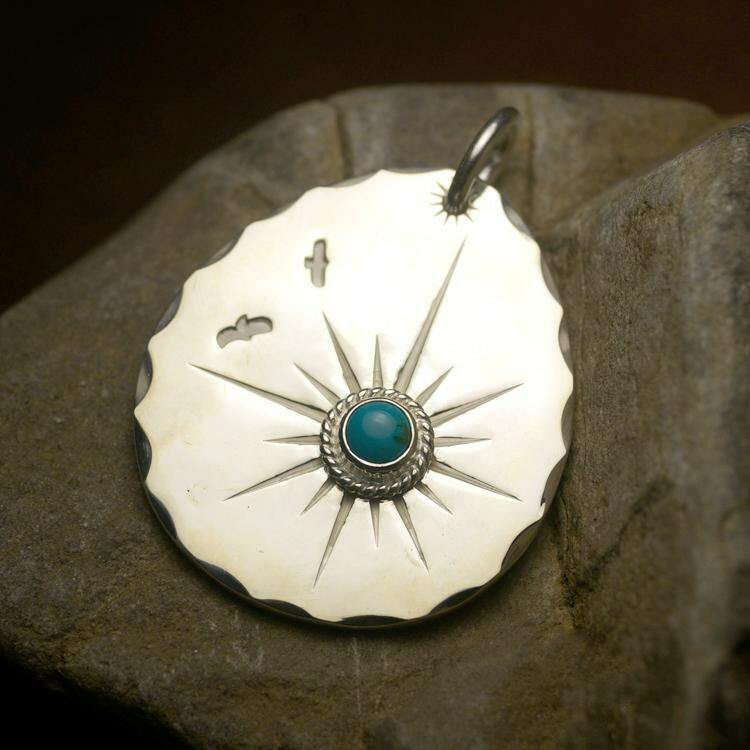 The large, oval shape of the pendant is decorated with a beautiful turquoise gemstone, The stone is set in a base of a twisted silver wire, with rays radiating out. 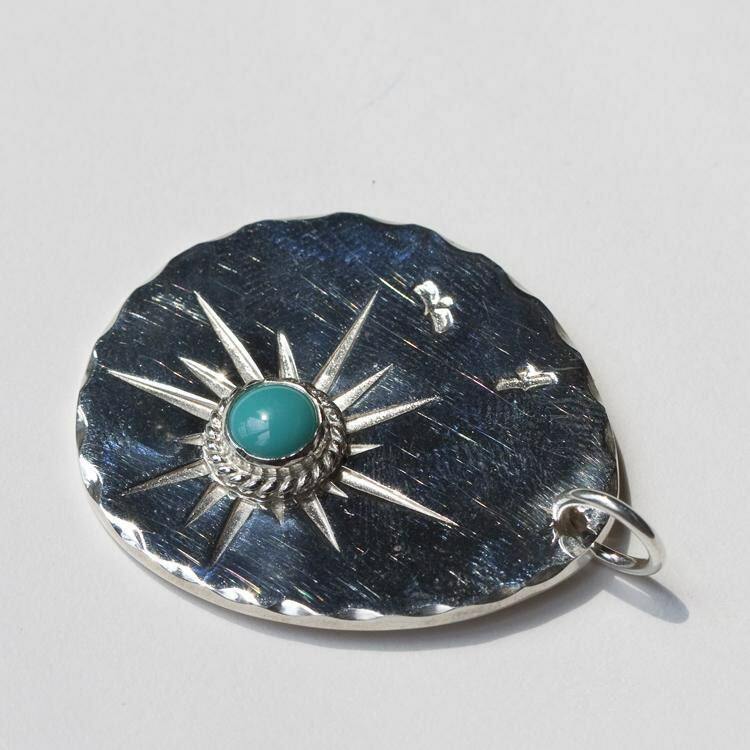 The appearance is of a blue, glowing sun or star. A pair of tiny engraved birds completes the picture - flying against the sun. 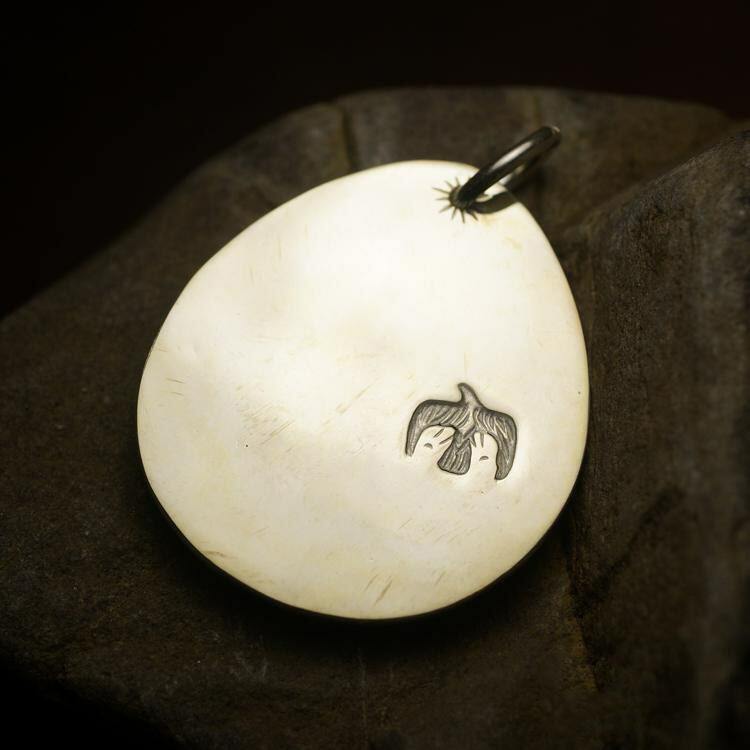 The reverse side of the pendant features a single, large flying bird shape stamped into the silver. 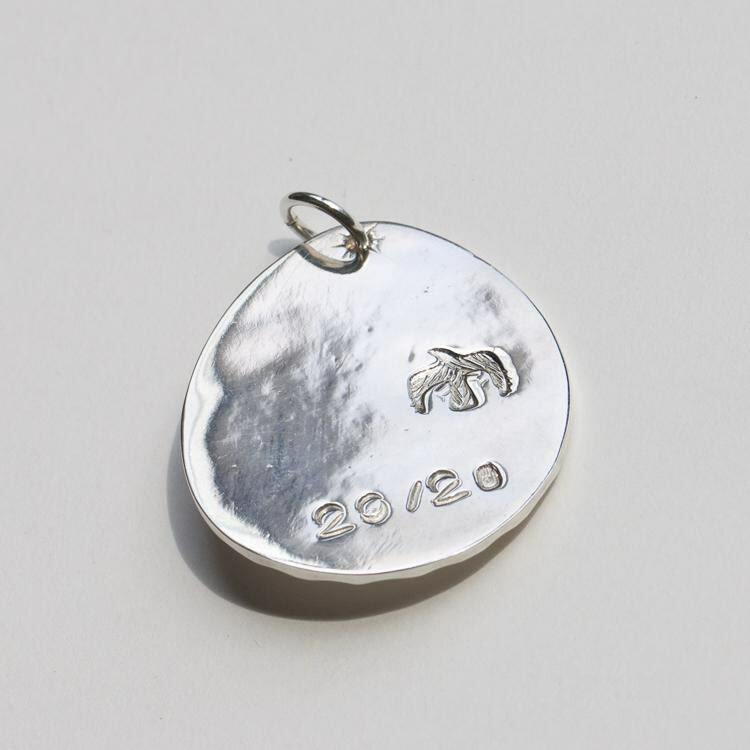 We can help you personalize the pendant - read the description below for details.